Arm your salesforce with essential knowledge and expertise through SellSmart, a cloud-based LMS for employee training and development. 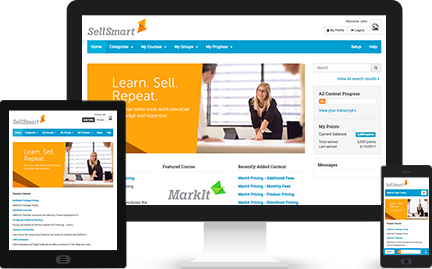 SellSmart is a dynamic, multi-user learning management system built to empower marketing and sales teams. It is one of the only learning-based tools created to support sales enablement and business growth. 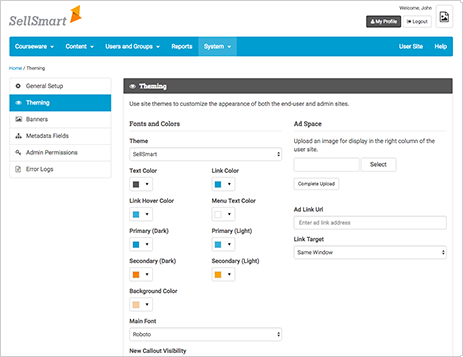 Customize the interface to match your brand with logos, fonts, banners, colors, and themes. 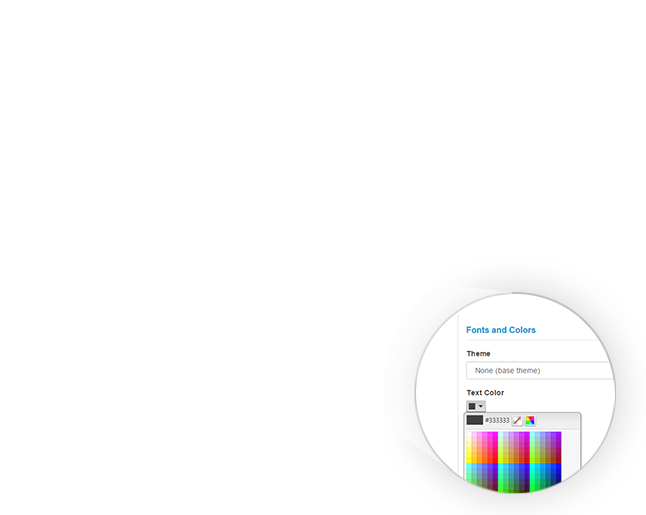 Access the intuitive user interface on any device. 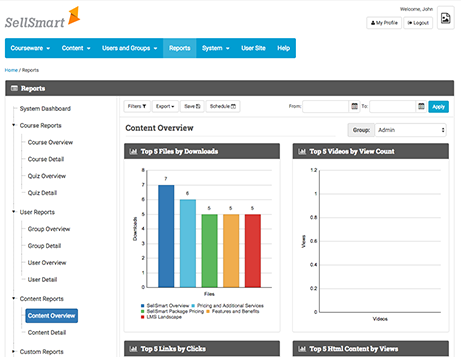 Capture training performance, measure user progress, and enforce learning accountability. 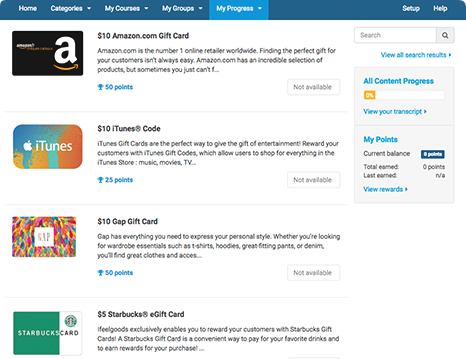 Increase employee engagement and knowledge retention with gamification features. SellSmart was built with a distributed sales force in mind — whether they’re overseas or on the road, it’s never been so easy to ensure continuity and clarity across your team. Is a new product on the horizon? Communicating the specs and benefits to your sales team just got easier with the built-in product marketing framework. Refresh skills with a quick lesson, or train for expertise with a certification course. SellSmart offers multiple formats and styles to suit your team’s training needs. No content? No problem. Leverage and deploy existing files, videos, and documents to create powerful training tools. Personalized learning tracks allow managers to customize training at the individual skill level, without the cost and time associated with instructor-led training. Our clients hit the mark. Sysco required a new LMS platform to handle its gigantic sales force and growing inventory of content. By migrating to SellSmart, Sysco’s sales and marketing folks now experience out-of-network accessibility, faster system speed, and better options when it comes to content management and course creation. Tackling two business objectives with one SellSmart. Professional services products are complex, to the say the least. 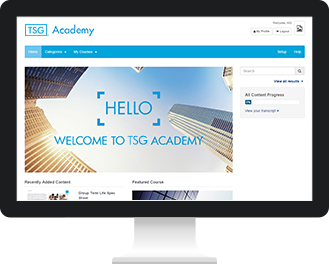 TSG needed a better training program that could organize the many layers of product content, as well as track user training. Plus, they wanted to launch their HR-related training within the same platform. 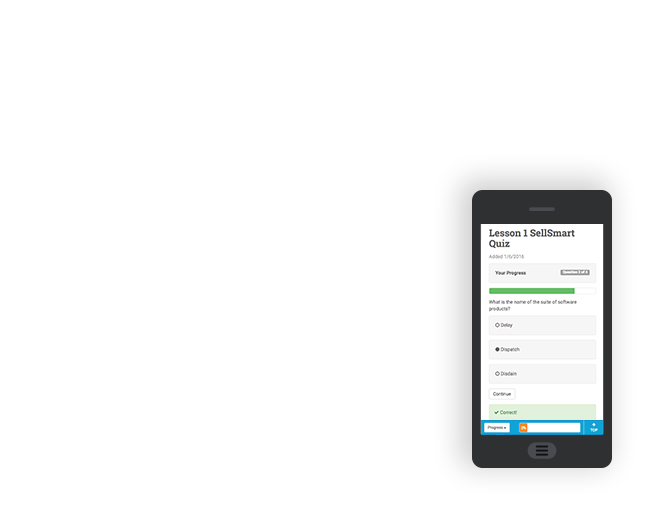 SellSmart was the single solution to TSG’s learning and training objectives. 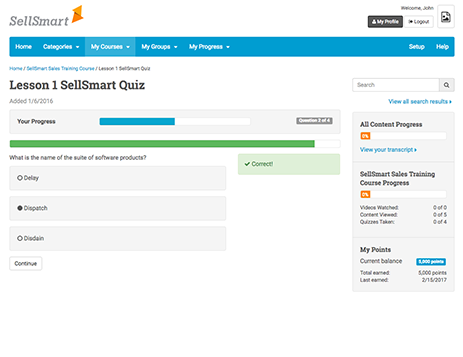 See for yourself why SellSmart is the smartest LMS choice. 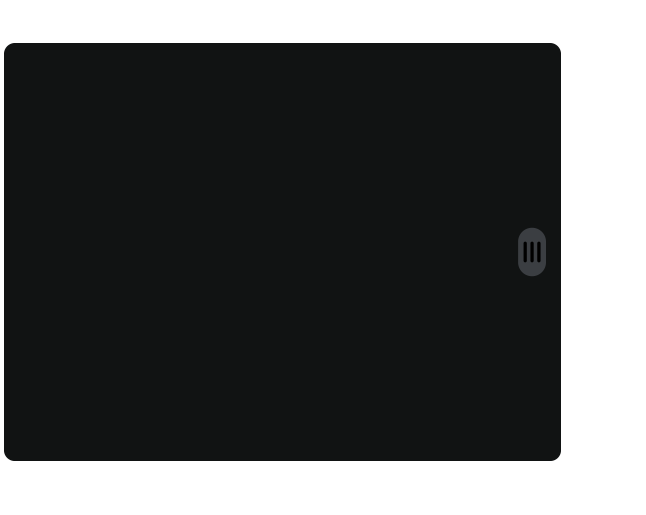 SellSmart is the debut SaaS application from Dispatch Today, a new suite of products built to optimize organizational selling systems.